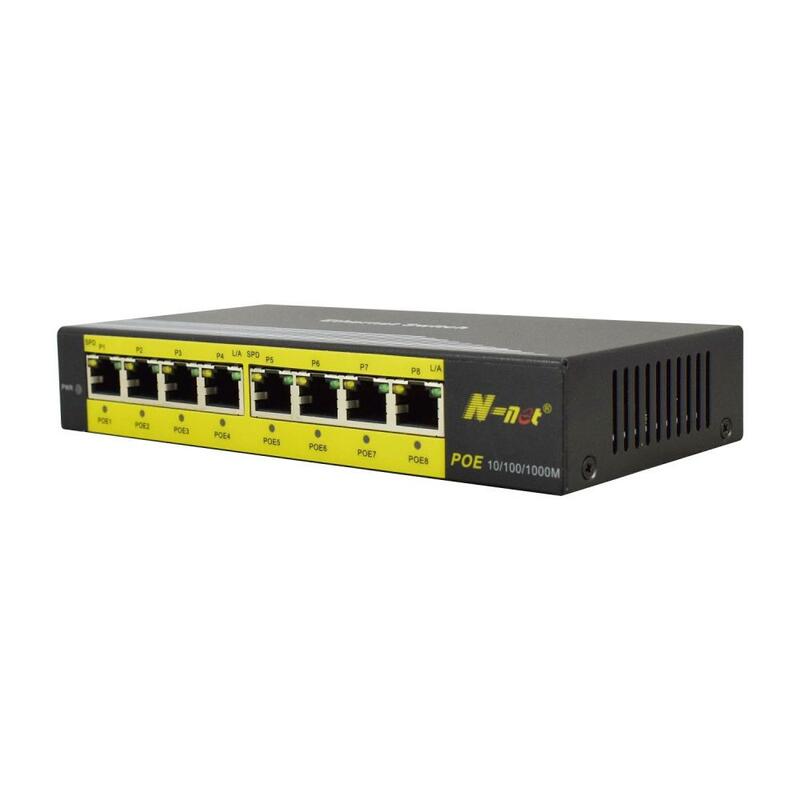 N-net NT-WG800-AF8 is a 8 ports 10/100/1000M unmanaged POE Switch and each port of them can be used as the uplink ports. There is cne of the 8 ports can support up to 60W, and the other ports can support up to 30W per port. 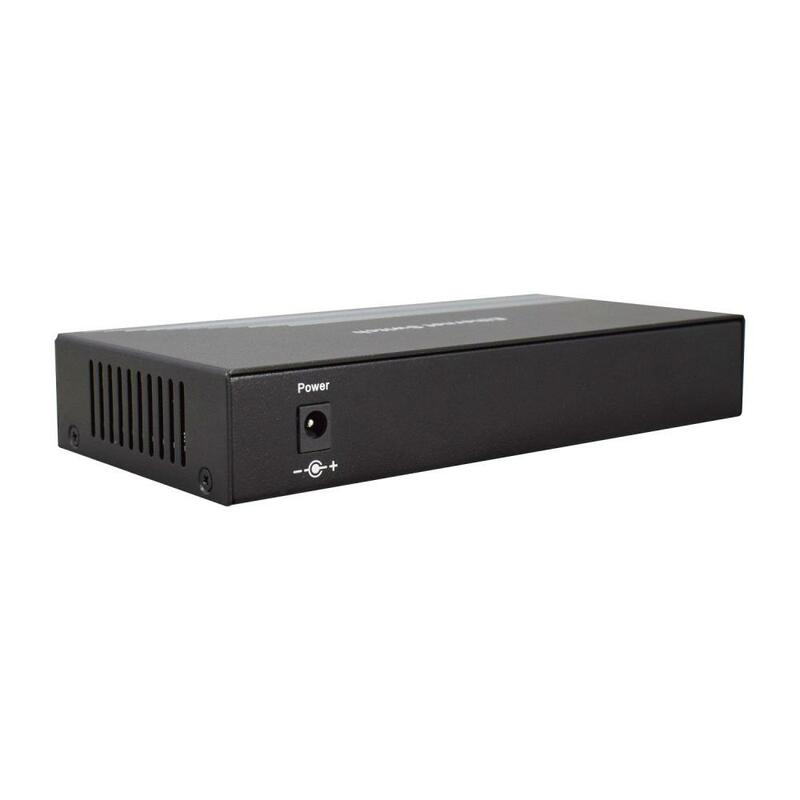 The PoE power budget of this Gigabit POE Switch total is 130W. 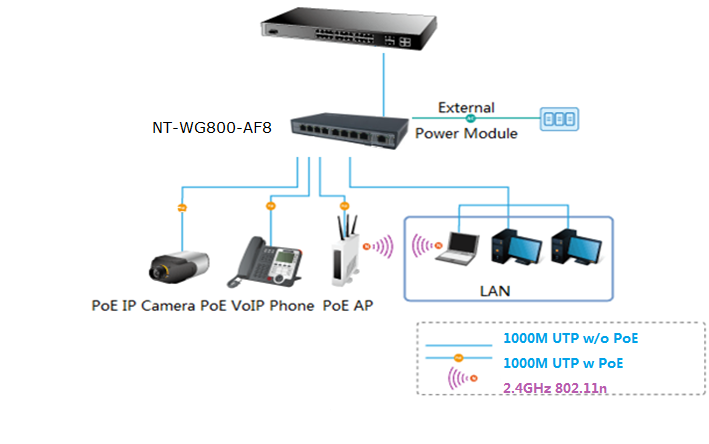 It is a most benefitial solution where office and home users utilize a combination of PoE and non-PoE enabled devices. 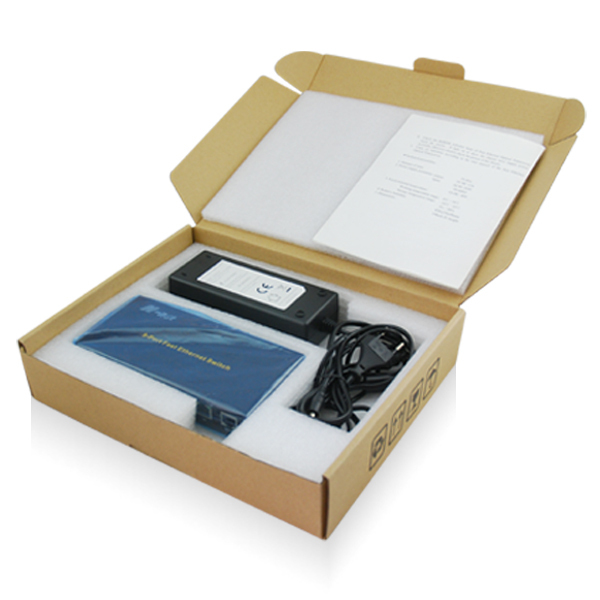 N-net 1000Mbps 8-Port POE Ethernet Switch, with a humanization design,easy for buyers to use. 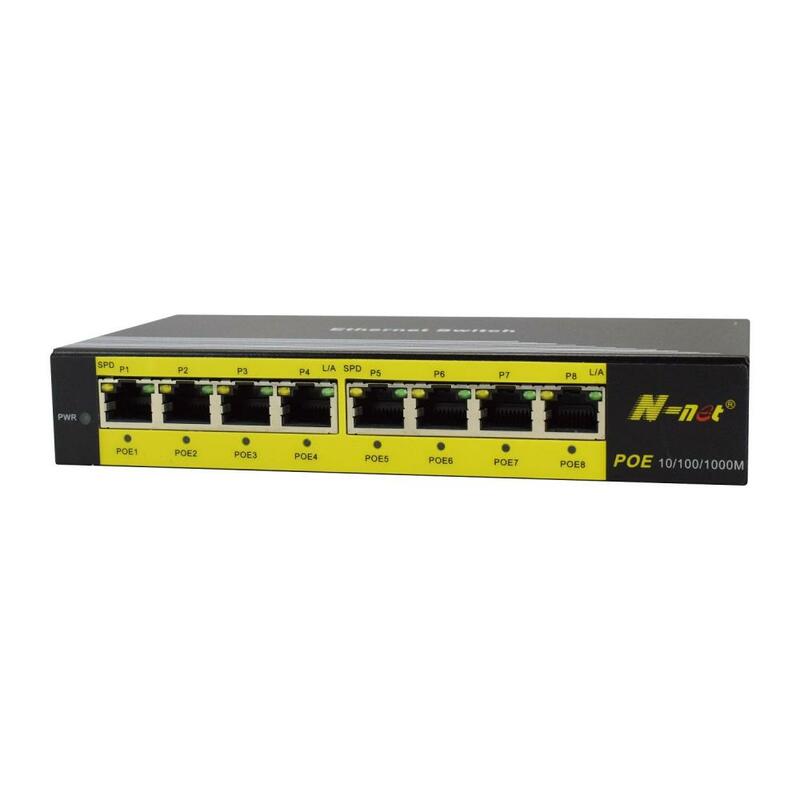 Looking for ideal POE Switch 8 Ports Manufacturer & supplier ? We have a wide selection at great prices to help you get creative. 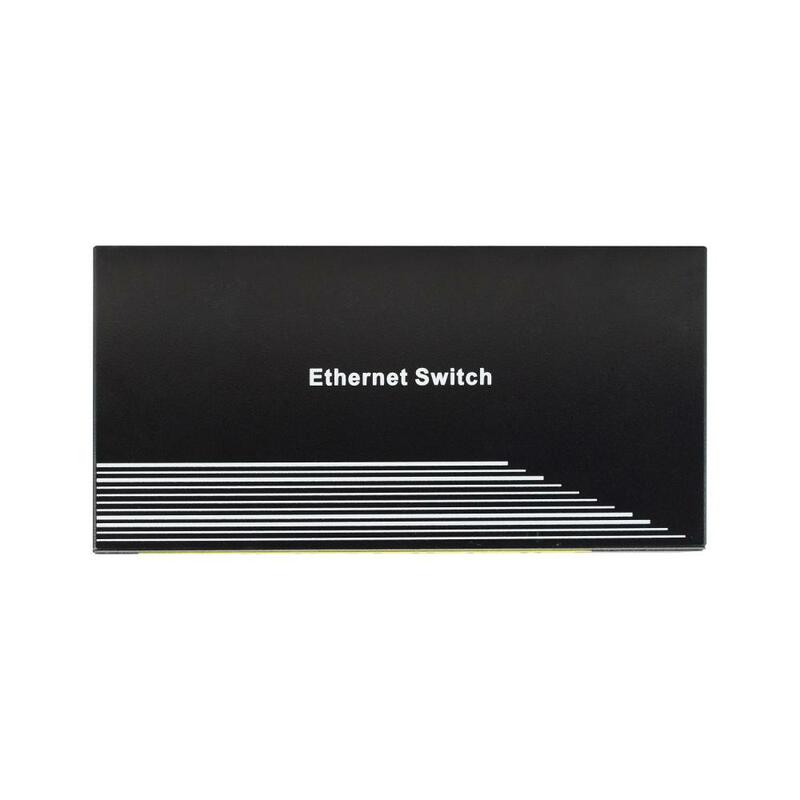 All the Gigabit POE Switch 8 Ports are quality guaranteed. 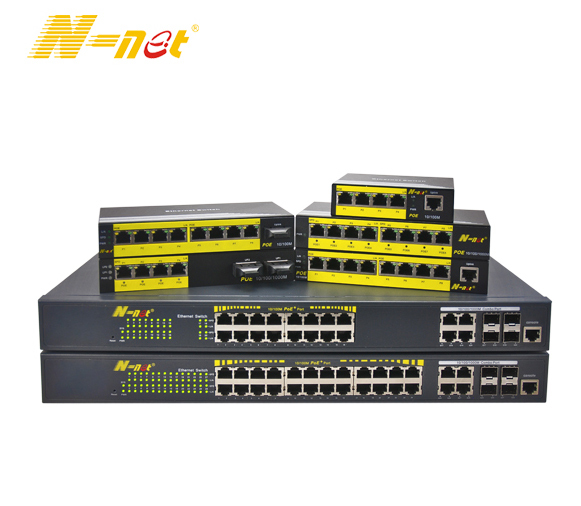 We are China Origin Factory of Unmanaged POE Switch 8 Ports. If you have any question, please feel free to contact us.